One thing we often get asked about is webfont licensing, so we wrote an article to address it in detail. We go over the pay-as-you-go and perpetual pageview systems, how they work, and which might make the most sense for you. Though each entity’s needs differ, webfonts are here to stay so read on to get a handle on the pros and cons of licensing. Thinking of the World Wide Web functioning with only eight web-safe fonts is like thinking of black and white TV: It seems like ancient history. But it was only in 2008 that webfonts appeared and browsers started to slowly support them. Now, just 10 years later, it is hard to imagine the Internet without webfonts. For the delight of font developers, graphic designers, and for readers mostly, webfonts are here to stay. In retrospect, it was probably unavoidable that this new technology would require the typography market to apply different commercial models, and that the (not so) old digital font EULAs would not be a good match for them. It has become rather challenging for type users to understand the differences between these commercial models and how best to compare them to make the right choice. This short article will help you understand the different licenses and how to make the best choice for your needs, whether large or small. 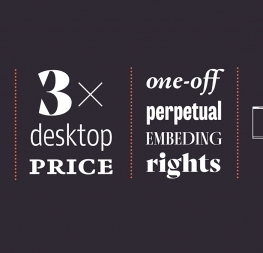 Let’s start with the most basic thing: How are webfonts different from desktop fonts? Well, webfonts are only meant to be used in a web environment with the help of a little tag of CSS code usually referred to as @font-face. Webfonts cannot be installed on a desktop computer or used in desktop apps such as InDesign®, Apple’s Pages®, or MS Word®. They are interpreted and rendered with the help of browsers or other apps dedicated to showing Internet content. The key point is that webfonts are installed on a web server and not on your personal computer. And this is, in part, the reason why using traditional licenses based on the number of CPU installs don’t make sense. Given that the Internet is connected, webfonts do not have to reside on the same server as the website using them. There are basically two possibilities to access webfonts. They can be self-hosted, which implies that the fonts are hosted on the licensee’s server (self-hosted webfonts), or they can be hosted externally by a service provider and served to the website requesting them. There are two more factors we need to consider: the number of URLs using the font and how many times the font is loaded into a browser. The first figure is quite easy. Once a webfont resides on a server it can be served to many domain names (www.domain1.com, www.domain2.co.uk, etc.). Most font distributors charge a license fee per domain. This means, for example, that an advertising agency cannot use a single webfont license to serve different clients and their domains with the same font. The second figure is measured in pageviews or unique visitors. A pageview is a request to load a single page on a website, and therefore indicates the times that a font is served. In commercial terms this is interesting because for the first time in digital font history we are able to measure how many times fonts are used and charge accordingly. With the elements described above, there exists several licensing models, each with pros and cons. Let’s see them. This system allows you to install the webfonts on your own web server (self-hosting) and to prepay for a certain amount of pageviews (PV). 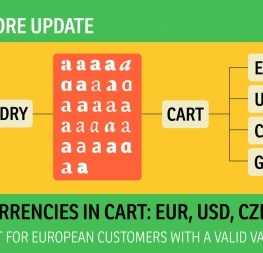 A counter is included in the code that notifies the distributor how many times the font has been served. Prices and limits on domain names vary between distributors but once you run out of prepaid pageviews you can buy more. This model is very convenient for low traffic websites or new sites without reliable traffic projections. Be careful though because this model can become expensive as traffic increases over time. This system also allows you to host the fonts on your own web server. The difference is that you make a one-time payment based on the average monthly pageviews expected for the site. Perpetual licenses limit your investment and, for those sites expecting consistent traffic for an extended period of time, they are significantly cheaper than the pay-as-you-go model. At TypeTogether we sell perpetual licenses starting at an average of 100,000 pageviews per month and going up to an unlimited pageview license. The last model we want to discuss is the webfont service that functions on a subscription basis serving the web fonts to your site, instead of self-hosting them. As with the other models mentioned above, there are usually license limitations in respect to domain names and amount of pageviews. One nice advantage of this model is that the user has quick access to a large library of different fonts and can therefore switch between them easily and without additional cost. This licensing scheme is convenient for websites with a short life-span, where many font styles are required, or for those who like to tinker often with their site’s typography. Given that there is no definitive standard regarding webfont licensing, the exact conditions vary from foundry to foundry and distributor to distributor. We therefore strongly suggest to carefully consider all of the factors before choosing one model: pageviews, website lifespan, domain names, budget, amount of fonts, and the like. Also, make sure to compare apples to apples. A certain amount of pageviews (PV) in the pay-as-you-go model means exactly that, whereas in the perpetual model pageviews are considered per month for as long as the website is live. To sum up, while possibilities for using incredible fonts in distinctive environments and with various purposes have multiplied, so have the challenges in understanding licensing models. The floodgates have opened in this new realm of self-expression: Almost any typeface you desire to use can be used on the web. Your branding is no longer weakened across the digital world as it was for the first few decades of Internet use. Now the styles you use in print can be applied to the web and it will appear on almost every digital device just as you envisioned. We encourage type users to get advice from type foundries, like ourselves, and to carefully read the webfont license agreement. After all, part of helping you get the most out of the typefaces we’ve created is to recommend the most suitable investment scenarios and to help customers maintain compliance while using our fonts. Written by José Scaglione and edited by Veronika Burian and Joshua Farmer.